We provide a unique service through this website helping you think about what you would like to happen on your death. A brief cremation and no fuss, or a full Life Celebration party with your favourite music, food and entertainment? Our website is designed as a simple resource to help you plan your ideal send-off, with guidance on prices, possibilities and practicalities. Whatever you decide, it is important you communicate your wishes to those left behind. Sometimes a chat is enough: many find it a difficult subject to raise, and it is for this reason we believe everyone should talk about the issues when they have no immediate need to do so. If you leave telling your loved ones your ideas and wishes until you are old, you may never get around to it. Plan a time when you will be relaxed and feel you can raise the issue of your death (however far off it may be) with your nearest and dearest. If they know your wishes and understand your reasons it is both more likely that they will do as you wish, and that they will be comfortable doing so. But also write it down. You need not be formal, a handwritten scrawl can be enough, as when the time comes the important thing is that your loved ones have some ideas to guide them, and know where to find them. We have put together a unique Letter of Wishes to help you let others know what you would like to happen on your death. 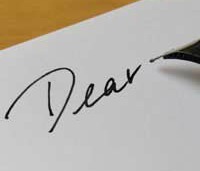 Click on the link below to open the Letter of Wishes so that you can print a copy and fill it in as ideas come to you. Of course you can change your ideas at any time, just make sure that someone, somewhere, knows where to find your Will and Wishes.